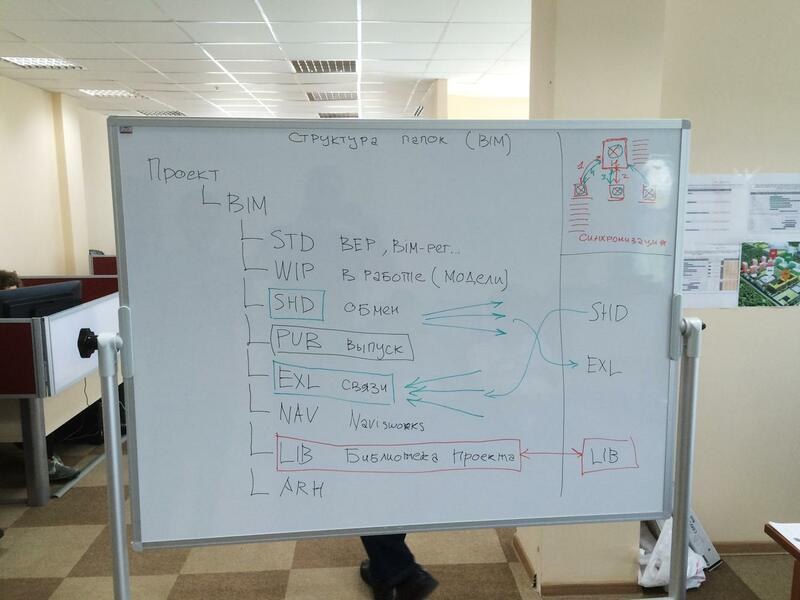 Today, information modeling technologies (BIM) are becoming a working tool of an increasing number of design companies not only in Russia, but also abroad. The number of companies wishing to introduce BIM technology into their technological and business processes is constantly growing. Unfortunately, many companies decide not to implement BIM-technologies, because changes affect all the company's processes: staffing, production technologies, standards and business processes of the company. In addition, it is extremely difficult to find a mentoring company that can effectively organize the process of implementing BIM. Our specialists held training seminars on certification of specialists of LLP "BI-Holding" - the largest construction company in Kazakhstan. BI-Holding LLP is a multidisciplinary company, which works in different construction sectors: residential and commercial buildings, industrial, civil, transport and social infrastructure. 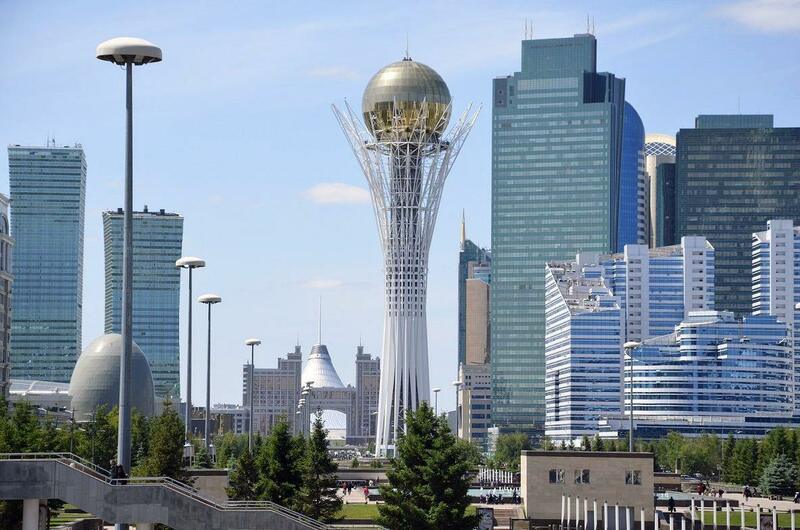 The seminars were held in Astana (Kazakhstan), where the headquarters of BI-Holding LLP is located. Before the beginning of training seminars a three-day seminar was organized with the presence of leading specialists and BIM-manager of SibTechProject LLC. The goal of this seminars was to create the right approach to the implementation of BIM-technology. 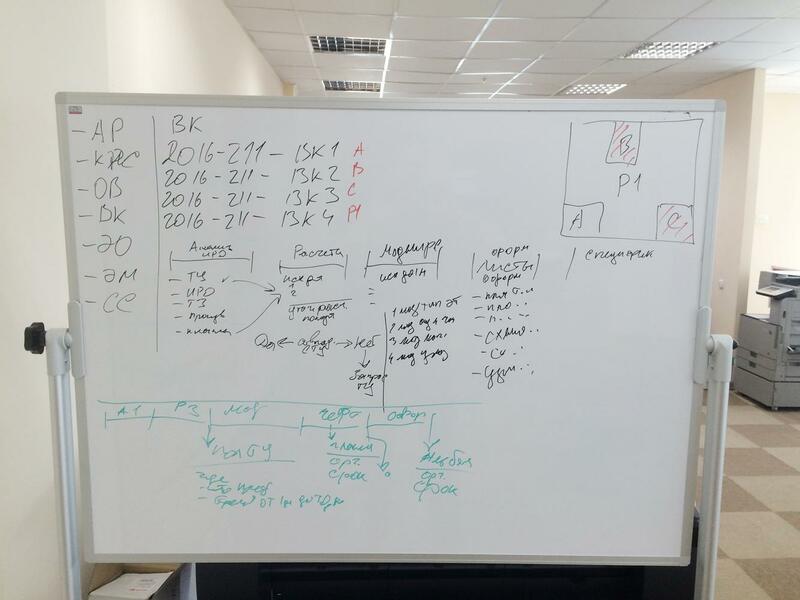 After that, we analyzed IT-resources of BI-Holding LLP and developed measures to improve the IT-infrastructure for a short period. The program had several stages and was adapted for the needs of the company. 1. Seminars AUTODESK REVIT ARCHITECTURE (60 hours). During seminars trainees learned the work principles and the main features of Revit Architecture program. A wide range of issues: types of building models, editing tools, creation of families, conceptual design, teamwork, etc. After finishing seminars trainees knew how to create building information model in Revit software. 2. Seminars AUTODESK REVIT STRUCTURE (60 hours). During seminars trainees learned the principles of work and the main features of the program. A wide range of issues: types of building models, foundation, work with analytical model, modeling of constructions, families, etc. After finishing seminars trainees knew how to create building information model in Revit software. 3. Seminar AUTODESK REVIT MEP - Heating, Ventilation, Air Conditioning, and Water supply. 4. Seminar AUTODESK REVIT MEP – Electricity and Lightning. 5. Seminars «BIM-management» based on Autodesk software: Revit Architecture 2015, Autodesk Design Review 2013, Navisworks Manage 2015. The main program features were studied: interface, working in program modules, collision search, 4D/5D modeling. Also trainees learned how to organize working process using BIM technologies taking into account the specificity of standards and general rules of the company. 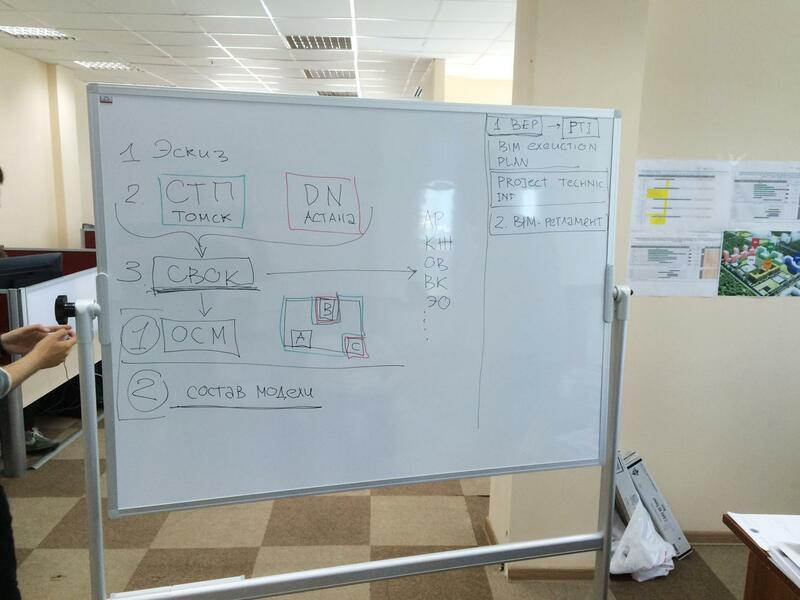 Training based on a real project which our company had already completed. After passing the training for each course the trainees took the exam. At the end of the seminars and passing the exam the trainees received certificates. During the training special attention was paid to practical needs of the Client. SibTechProject specialists are designers who have experience in application and implementation of BIM technology in organization and also understand real processes of modern design. Thus, specialists of the Client’s company fixed the skill of using new technology and learned how to carry out a project independently. They have acquired the skill of a parallel design – each designer performs his part of the project at the same time with other specialists. After finishing seminars specialists of Client’s company started to develop the project using BIM - Residential building "DreamCITY". Access to technical support was provided through the website. Communication between our specialists and specialists of LLP "BI-Holding" was organized with the help of website, Skype, Teamviewer, Trello. The seminars started in July and finished in November. About 40 specialists were trained. So, our company performs the whole cycle of work on development of BIM-technology in this company - from development of concept of BIM implementation and studying features and concept of work in Autodesk Revit program to application of the program in a real project.